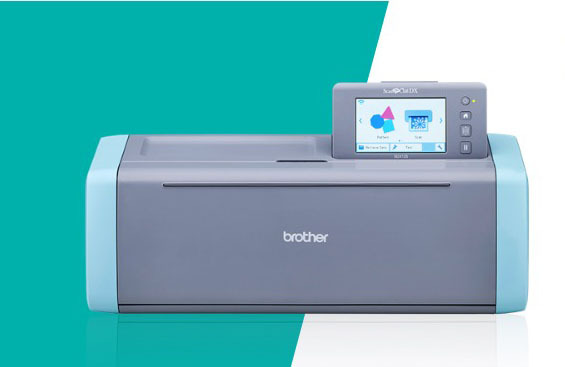 If you are thinking of purchasing a new ScanNCut DX then you need to be aware that there are two different model numbers. This applies to the US and Australia and most likely other countries as well. In this post, I will be doing a comparison between the two US model numbers – the SDX125 and the SDX225. And just to make things even more confusing, there is an SDX125i model as well. Bear in mind, that these are the model numbers for the US. I will be writing up the differences between the models in Australia as I get more info, so will post the link here when that is done. And by the way, if you are wanting to check out the features of the ScanNCut DX machines, you can read our post here. As most people in the crafting business know, Brother also sells sewing machines. And their business model for selling sewing machines, is to sell them through local dealers. So you might find it difficult to buy a Brother sewing machine online unless it is one of the lower priced models. This same business model applies to ScanNCut machines. They tend to only allow the pricier model to be sold by independent dealers in a physical store. The cheaper model is the version that is found in larger craft or sewing superstores or online. This seems to be the case with the new ScanNCut DX. So you may see a version online at places like the Home Shopping Network and Amazon. It appears that Home Shopping Network (HSN) is selling the SDX125i so it is the cheaper model. This model appears to be the same as the SDX125 but with an added bonus of a pack of SVG files. Also, note that a reader did purchase a machine from HSN and the machine was labelled as SDX125 but on the box it was labelled SDX125i. On their website, they state that they are selling the SDX125 and there is no mention of whether it is an SDX125i. My assumption here is that they are the exact same machine and are just labelled differently for online sellers. Does the extra ‘i” stand for internet maybe? UPDATE: We now have more information on this machine and it looks like there are a few differences between the two main models. Let’s get into them her. So What’s the Difference Between the ScanNCut SDX125 vs the ScanNCut SDX225? IMPORTANT: Before purchasing any of these machines, double-check with your dealer that what we have said below is correct to make sure you are getting all the features you are after. This is the ability to scan the full length of a 24″ mat. Not too sure what this means at this stage but I expect it has to do with the scanning functionality. First up we have the built in designs. The built-in designs are cutting files that are pre-installed in the machine itself. Now personally this wouldn’t be a game changer for me since I tend to create my own cutting files, but for those that don’t, then it may make a difference. With the new Canvas Workspace software, you can use fonts on your machine, so unless you don’t like using Canvas Workspace to create your own cutting files, then the extra fonts may appeal to you. For me again, it’s not a game changer. What actually won’t take your email address? Are you trying to sign up to our newsletter? a) Big difference with previous BSNC is the auto setting of the cutter (Pressure, depth, etc.)? b) Are the blades different, as well as, the holders? c) I understand some of the accessories we have with older model (650) are not compatible such as mats; what about sticker, labeling, embossing, etc. packages? It’s kind of difficult for me to answer your questions at this stage as we still don’t have a machine – it’s not available in Australia until beginning of October. – It looks like the blades are different as well as the holder. They are sold in different packaging and are called Auto Blades. – Can’t really say whether the sticker etc packs are going to be different but my feeling is that they will be same. But take that with a grain of salt. – As far as I can tell, there is no discount or trade-in offer from Brother but you may get a discount from your local dealer perhaps. I am in the states and purchased the model from HSN. It uses the same pen holder and the universal pen holder. The mat is much stickier! I am pleased with that! You can’t use the older mats, only the ones for DSX. The new mats aren’t available yet so I don’t know how much they cost. I love the new machine as I can use it when my husband is sleeping! Thanks Marianne. It’s great to start getting this sort of information. We still don’t have the machine so this is very helpful. Hi, I’m still awaiting for the email with my download of “over 100 free ScanNCut cutting files” and wonder if there’s a hiccup in the system? Hi Miranda – You actually subscribed to us back in September 2017 so you would have received the Crafty Downloads then. However, if you don’t have them, just click on the Contact option from the menu above and send us an email to let us know and we will send them to you. I am trying to find a cutter that will cut shapes into matboard – the heavy “cardboard” used when matting/framing photographs. Typical matboard is about 3mm thick. I called Brother to see if the SDX225 will cut matboard, and this was their response: “It will cut a piece of 3mm foamboard but we have not tested it on matboard”. Do you know if this machine will cut matboard? We haven’t tested it either Laurie and I had trouble finding anyone on the net who has tried it. It could possibly do it but too difficult to give it a definite yes without trying it ourselves. Sorry I couldn’t be more helpful on this. Thank you so much for your comparison of the machines. Awesome. Thanks again and lots of greetings from Denmark. Thank You for all the info you give us. Much appreciated. Please could you tell me if the SCAN N CUT SDX225 will accept SVG FILES. Thanks in advance. Janis.